Brexit is something just won’t go away and it also makes an excellent Podcast topic. 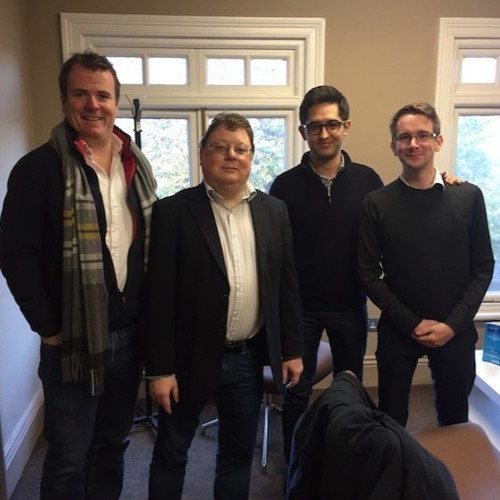 On this Brexit round table discussion Ronan was joined by Ian Lucey, founder of the Lucey Fund, Matt Smith, CEO Startup Britain and Max Yoshioka, Lead Researcher at the UK Center for Entrepreneurs. We discussed what challenges Brexit brings to Ireland especially in the Startup scene, why Chinese investors are coming to Ireland, how the UK will cope with Brexit, how we will compete with new proposed corporate tax rates in the UK and America and what lessons we can learn from the UK Startup scene.